Our official Twitter account @etribune has crossed 50,000 followers! 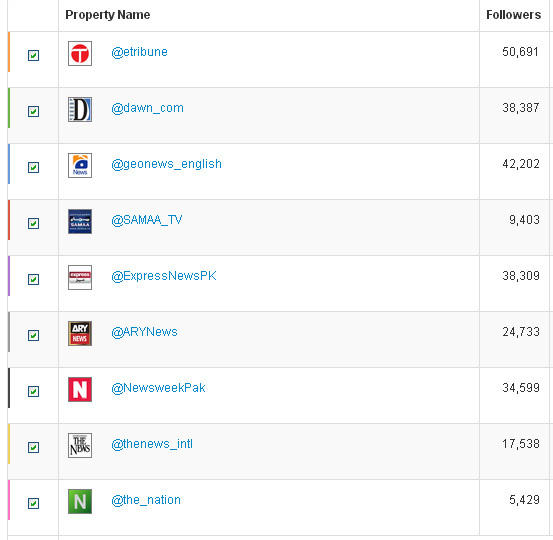 The Express Tribune is also the number one Twitter news resource from local media in Pakistan (see table below). 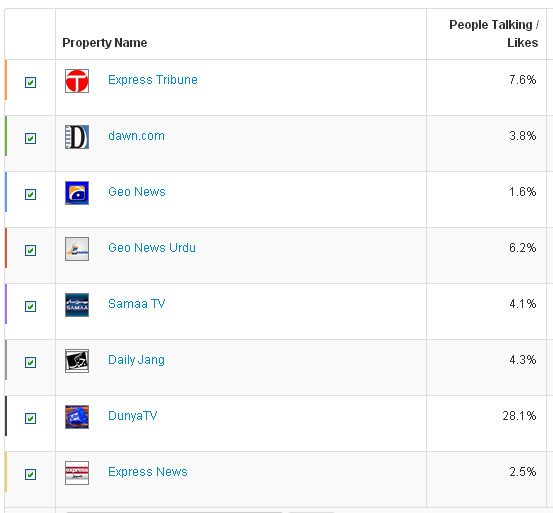 On Facebook, we are also among the top local news resources with over 220,000 likes. Keep in mind, media groups have been buying ‘likes’ (you can pay to get more followers on FB) and that has rigged the game somewhat. Luckily, our engagement levels on Facebook are a high 7.6% (considering we are not paying for engagement or likes, this is good as FB only sends 10-20% of our posts to our followers). 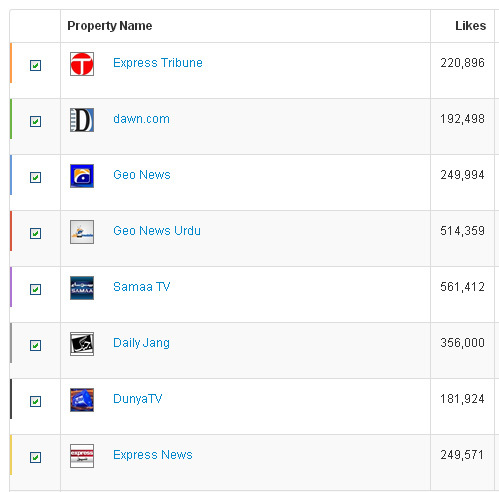 This makes us the second most important local news resource on Facebook (just behind Dunya, who is obviously…well, see the table below). This entry was posted in Cyberspace, Journalism, Pakistan and tagged facebook, journalism, media, Pakistan, social media, twitter.